I was born and raised in a small village on the Northern shores of Lake Naivaisha in Kenya. I attained a Diploma in Tourism and Wildlife Management from the University of Eldoret, and Bachelor of Natural Resource Management from Karatina University, both in Kenya. 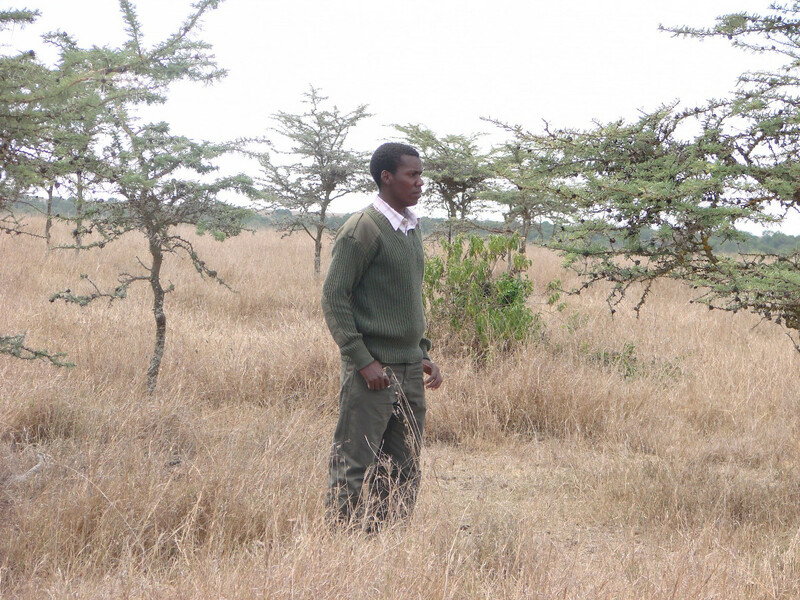 Prior to re-locating to Enonkishu Conservancy in the Maasai Mara in 2015, to take up a role as a Conservancy manager and trainings facilitator, I worked in Ol Pejeta Conservancy as a research assistant in their ecological monitoring unit. I was tasked in collecting, collating and analysing data relating to key species of both fauna and flora, including downloading GPS data from the collared lions, using radio telemetry machinery to study their home ranges and predator-prey interactions, and black rhino habitat monitoring, where I lead all the field work operations. Joining Wildcru and interacting with a greatly renowned team of conservation professionals with a wide range of experiences and skills is a dream come true and one of the greatest achievements of a lifetime. The course will go a long way in shaping my conservation career through enhancing my research and scientific skills. After completing the Diploma, I am keen to start a PhD project to study predator-prey dynamics and the effects of their spatial interaction with humans, as well as the range collapse of various carnivore species in Kenyan rangelands.